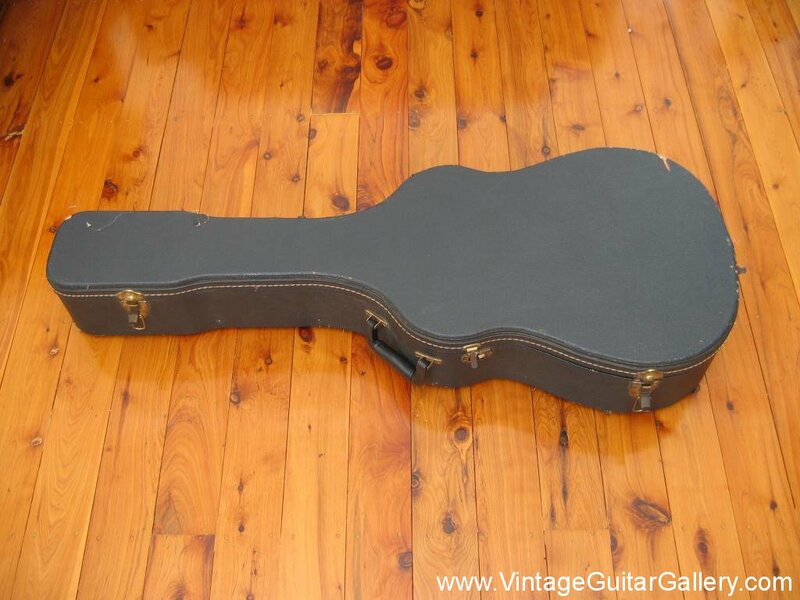 Case: Acoustic Guitar Case with foam inserts. New case on the way. 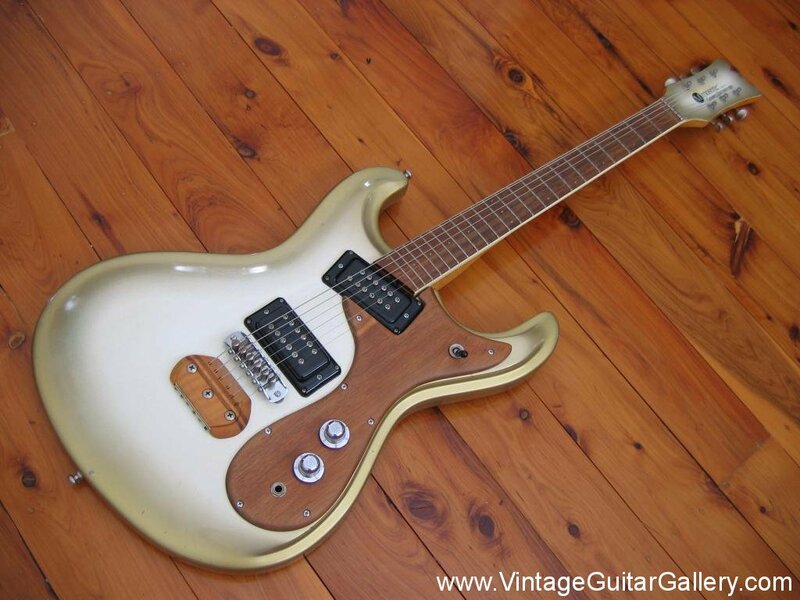 Comments: Extremly rare Mosrite Model. I have only heard of two others, and have only ever seen one other. 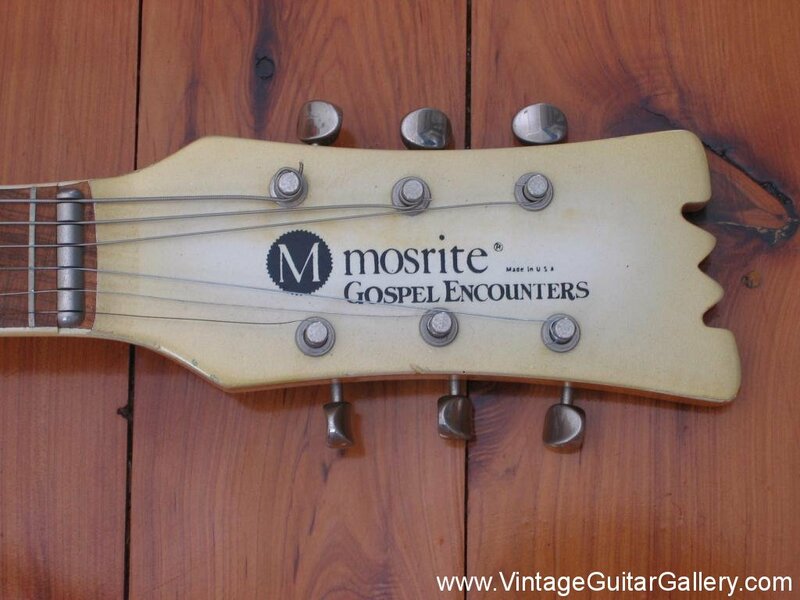 Rumour has it that Semie made these for Gospel bands and gave them away for free, to spread gods words, plus get the Mosrite name out there. (Is this true? Im not sure its only a rumour that I heard. If you have any information at all on this model I would love to hear from you) All original and extremely good condition except for a few small dings. Original goldburst paint has tarnished to a green hue on the back in some spots. 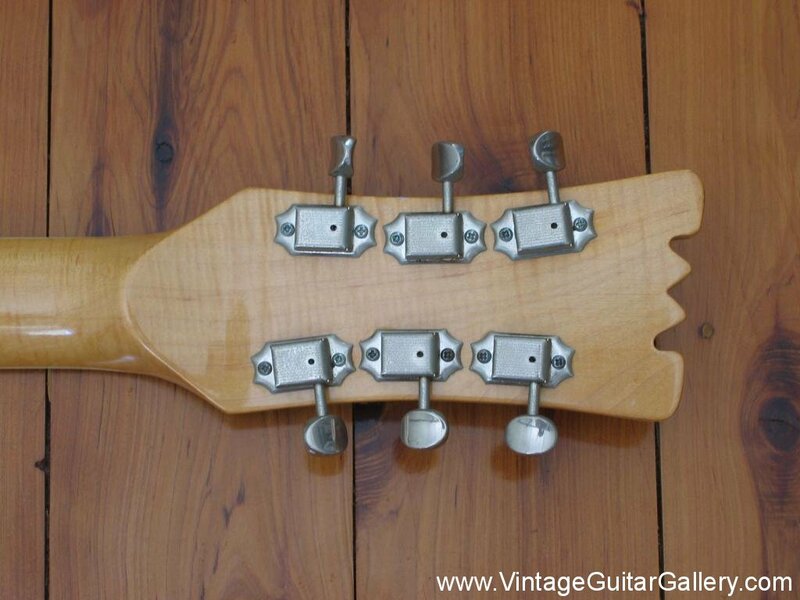 All the scratchplate,bridge and neck bolt cover are made of wood. Extremly thin neck.Dual Mosrite humbuckers. 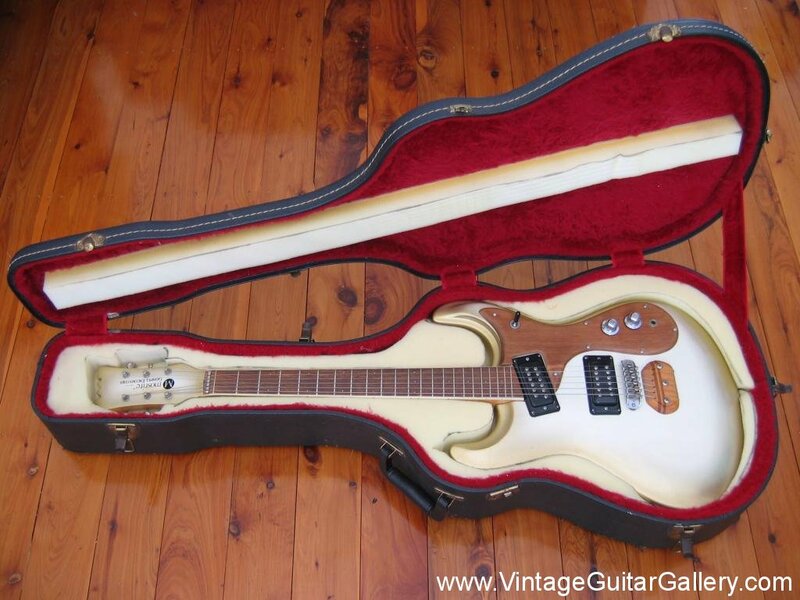 The first Mosrite I ever bought! MOSRITE ONE OFFS AND CUSTOM ORDERS. Mosrite and Semie Moseley made so many one offs and custom orders it is almost impossible to list them accurately. Tim from ‘Tym Guitars’ still comes across “new” Mosrites that he haven’t seen before and there are literally 100′s more of them out there. Customs varied from Standard shapes with custom paint or hardware to wild and crazy shapes like no other guitar. The Strawberry Alarm Clock guitars are a great example of how out there Semie could be. Only three of these exist, a bass, a 6 string and a 12 string guitar. Semie also made a guitar for Johnny Ramone and a handful of official Ramones models as well as a bass for CJ Ramone in pearl white. 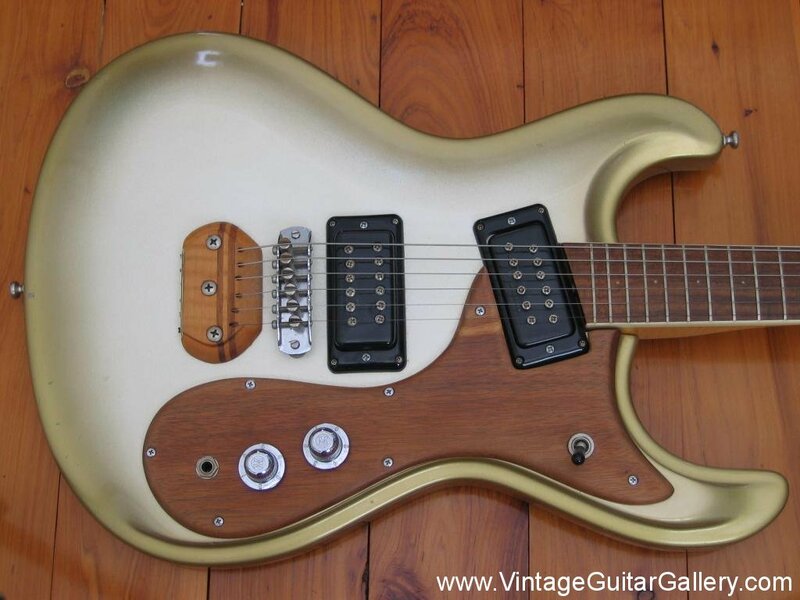 If you find something that feels like a Mosrite and has Mosrite hardware, it could be a VERY rare piece indeed. Don’t just pass it by as a bad copy or someone’s attempt to sell you a fake. Check it out, it might be real !! 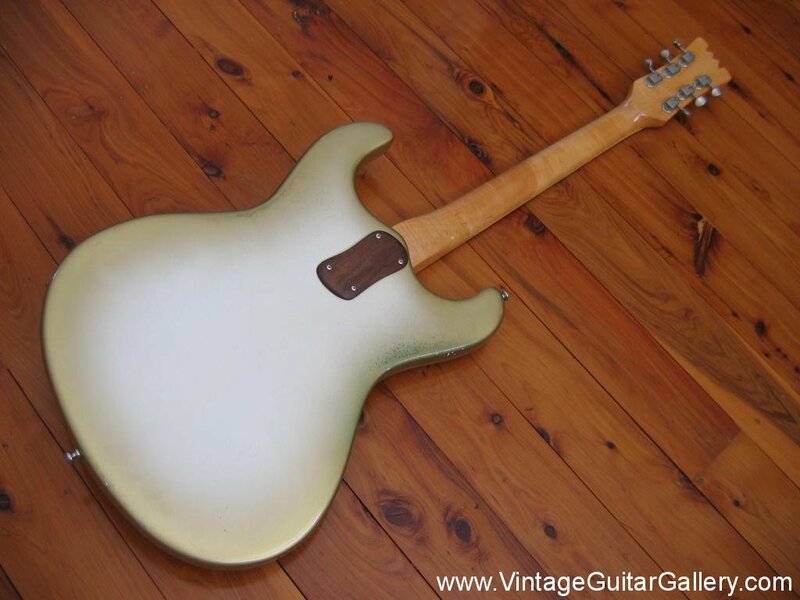 © 2012 Vintage Guitar Gallery. All Rights Reserved.